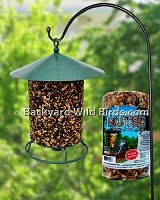 Special Wild Bird Feeder styles just for Cardinals, Bluebirds, Orioles, Chickadees, Nuthatches, Hummingbirds, and Woodpeckers bird feeders are all found here. 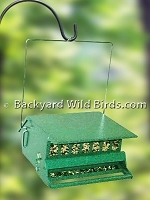 These feeders all have something unique to bring in special songbirds. 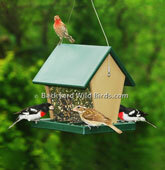 Take a look and see all of the possibilities for bird feeding. 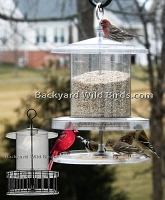 Carousel Bird Feeder has 16 inch Weather Dome and 4 seed partitions with 8 seed ports. 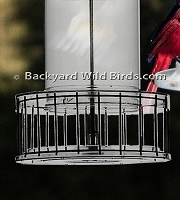 Durable UV polycarbonate base construction with Dome baffle protects against the weather. 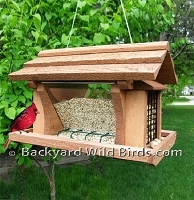 Cedar Hopper Bird Feeder has a wide tray filled from its hopper. 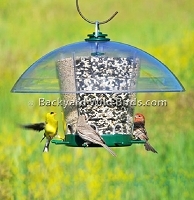 The large bird seed hopper can hold many different seeds like: Sunflower, bird seed mixes, Mix nuts and peanuts. 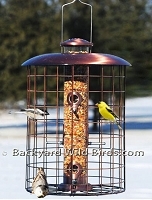 Multi-Purpose Bird Feeder Tray use to feed many snacks and treats to your birds including dried mealworms, fruit, seeds, suet, jelly, and more. 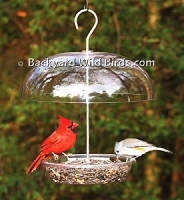 The 11" Dome weather guard protects both birds and food from the weather. 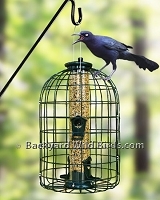 Cover for the Platform Bird Feeder that is 12 inch square. 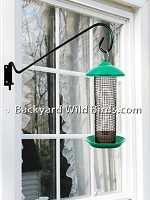 This is the plastic cover only that can used with a hanging platform feeder. 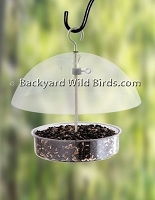 Note: This is the plastic cover replacement only! 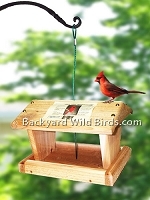 Platform Covered Bird Feeder is a long lasting red cedar wood plastic covered platform that gives open access to a great variety of birds. 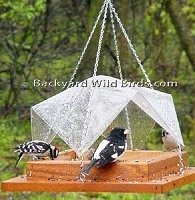 This includes both the plastic cover above and Platform Bird Feeder below. Recycled Hopper Bird Feeder is a recycled plastic large hopper bird feeder. 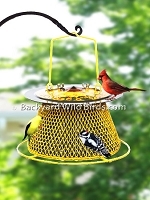 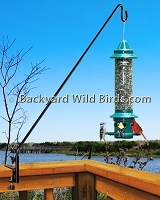 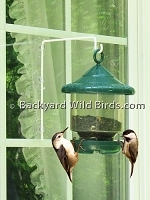 The hopper style feeder is meant to attract and accomodates many different kinds of birds. 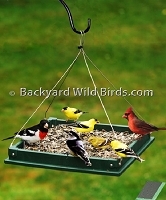 Recycled Platform Bird Feeder is a green way to enjoy all the variety of birds that this type of feeder will attract. 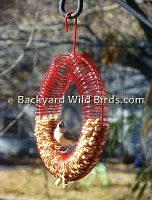 Red Peanut Feeder Wreath is a perfect way to have a heart. 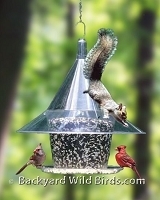 The red spiral shape bird feeder holds whole peanuts that will definitely get wild birds and bird lovers attention. 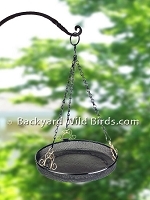 Nice special occasion gift.